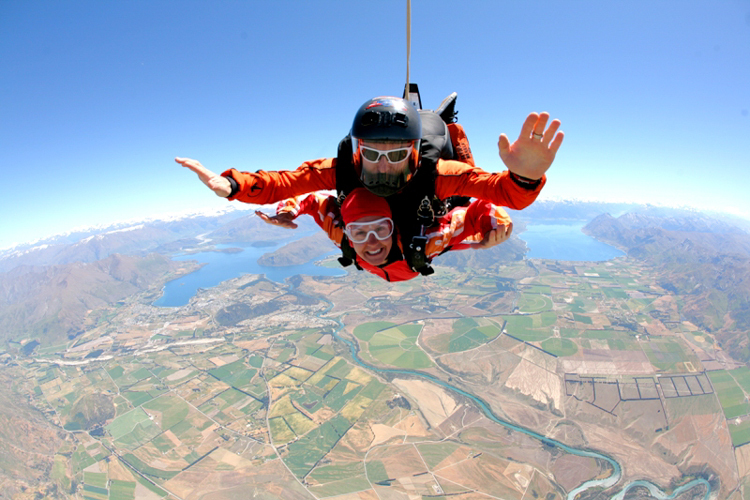 This is the ultimate in New Zealand adrenaline adventure, Lake Wanaka is the best place to jump from a perfectly good plane Skydiving is an unforgetable experience. 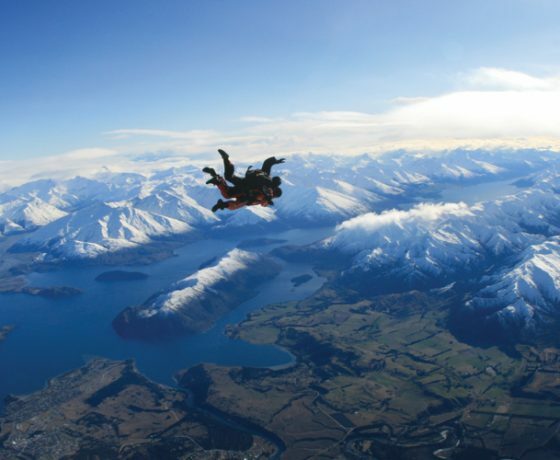 Climbing high above the stunning southern alpine scenery in the custom built X-STOL skydive plane, your incredible scenic flight captures breath-taking 360 degree views of NZ’s highest mountains, glaciers, lakes and rivers. 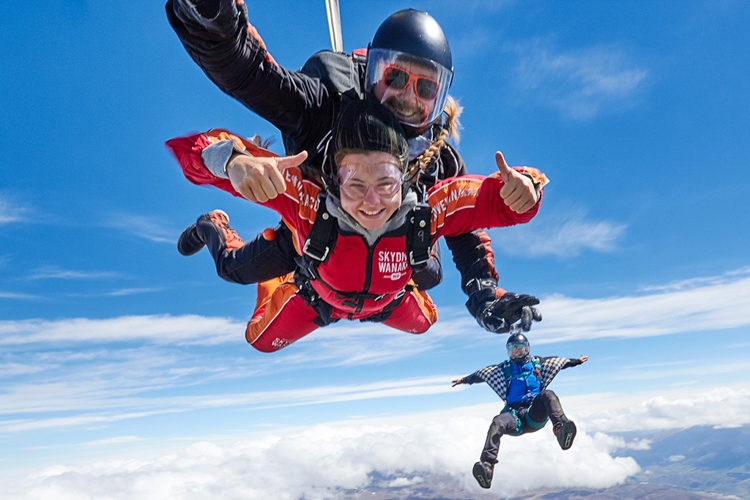 So why not Strap yourself to a beautiful stranger for the experience of a lifetime with Skydive Wanaka, New Zealand’s most spectacular, multi award winning high altitude skydive! 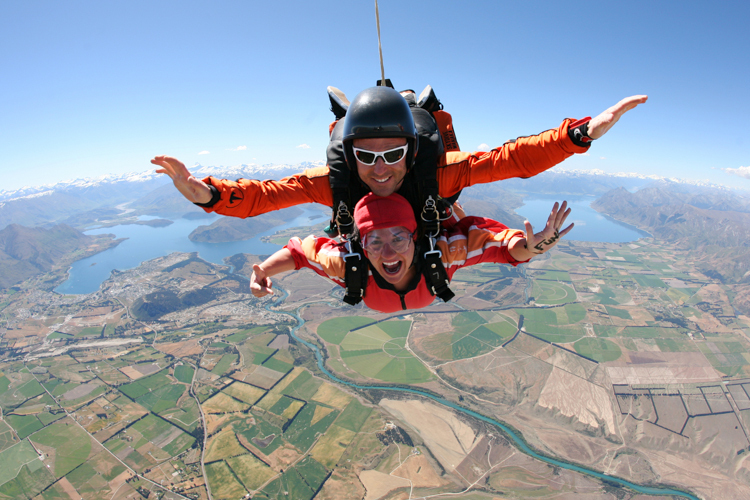 You can select from many options to enjoy your Skydive Wanaka experience. 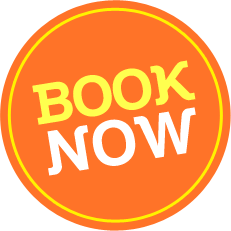 Add videos, photos and other extras to your booking to make this memory last forever. 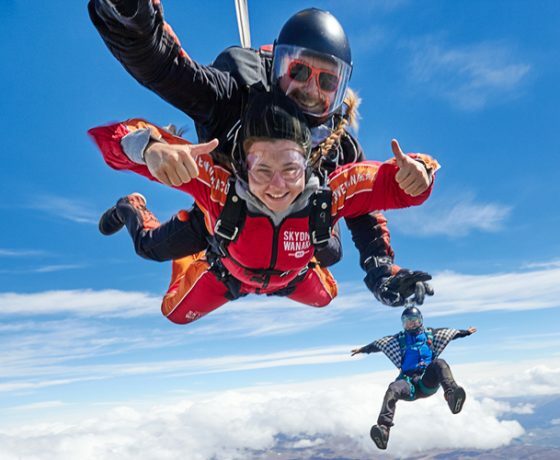 The flight to altitude is 10-15 minutes, during which you can enjoy unrivalled and uninterrupted views of Wanaka’s world-renowned lakes and mountains, the Upper Clutha river, and, on a clear day, Mount Cook. 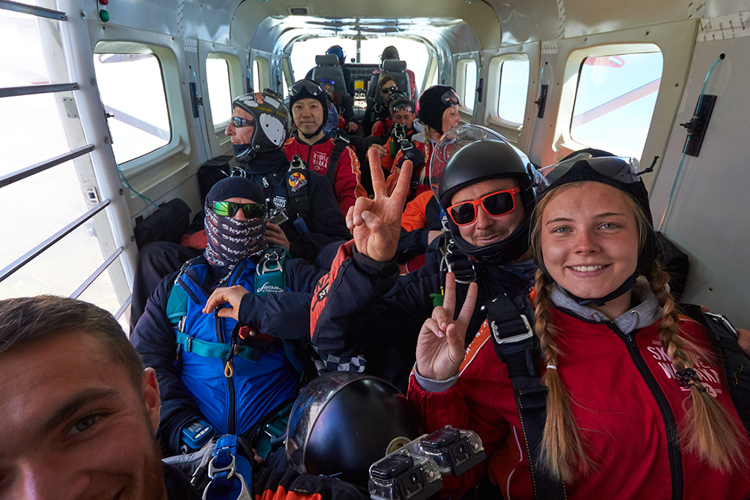 Move toward the plane’s now-open door, securely harnessed to your highly-qualified tandem skydiving instructor… pause on the edge, then… SENSORY OVERLOAD! 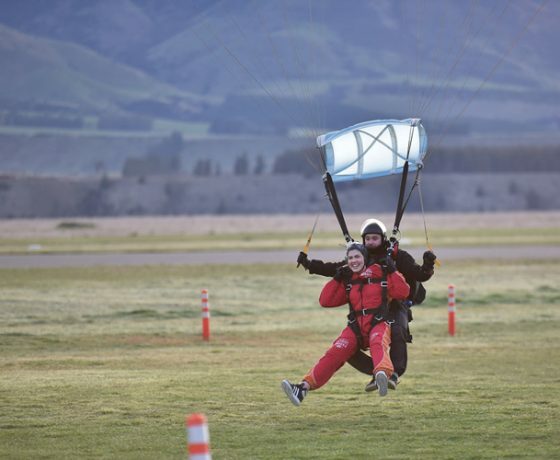 You’re flying through the air at 200kph! 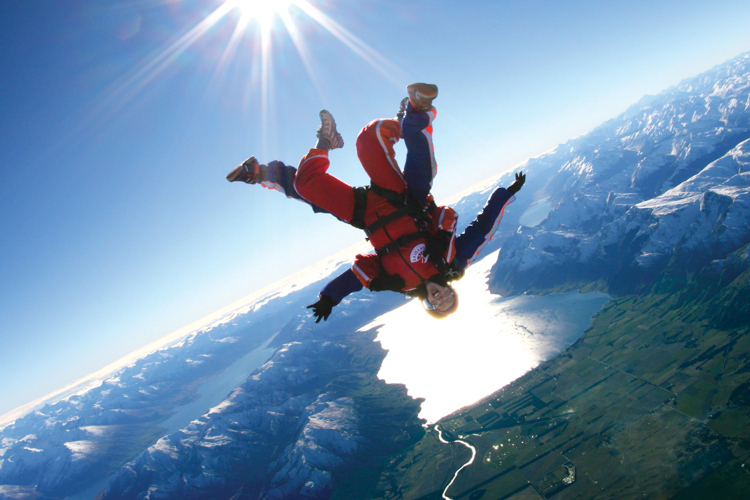 You’re not falling – you’re flying and the view is truly INCREDIBLE. 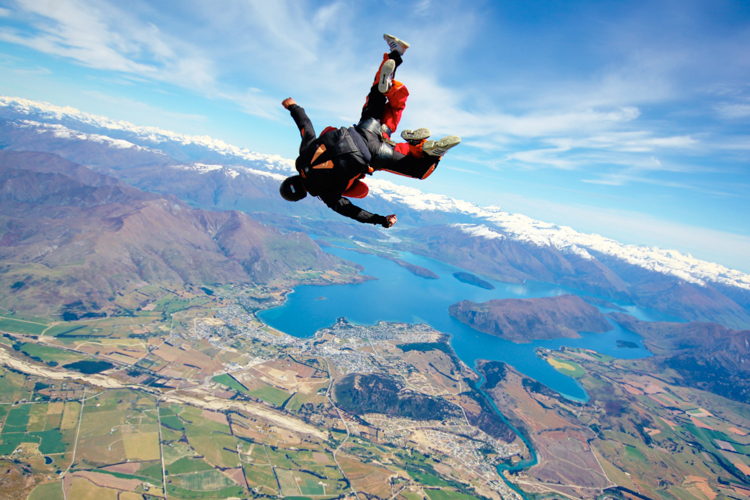 Your adrenalin is flowing as your senses try to process the intensity of the experience. 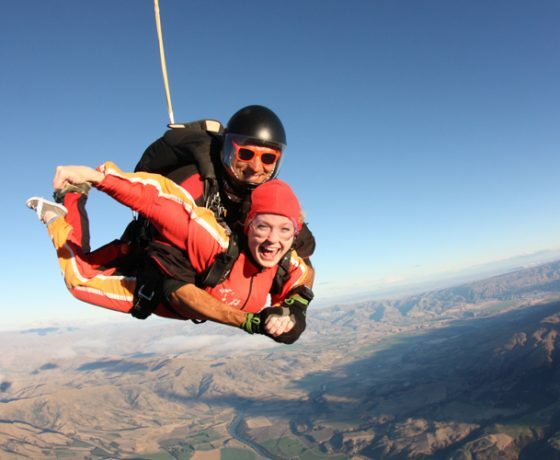 You just did something that makes no sense – you jumped out of a plane thousands of feet in the air. 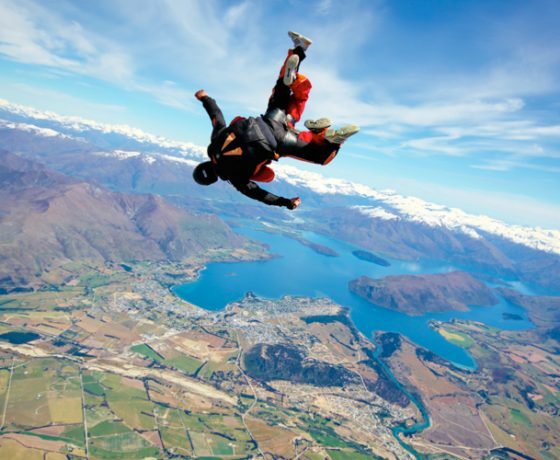 But now you understand why skydiving is so special, why it actually makes all sorts of sense. So, when will we see you next? 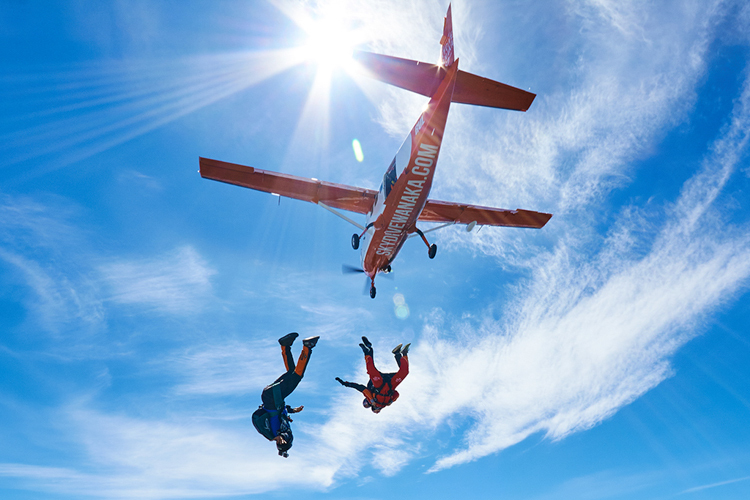 You take to the skies in the skydive plane offering a comfortable, quick flight to altitude. 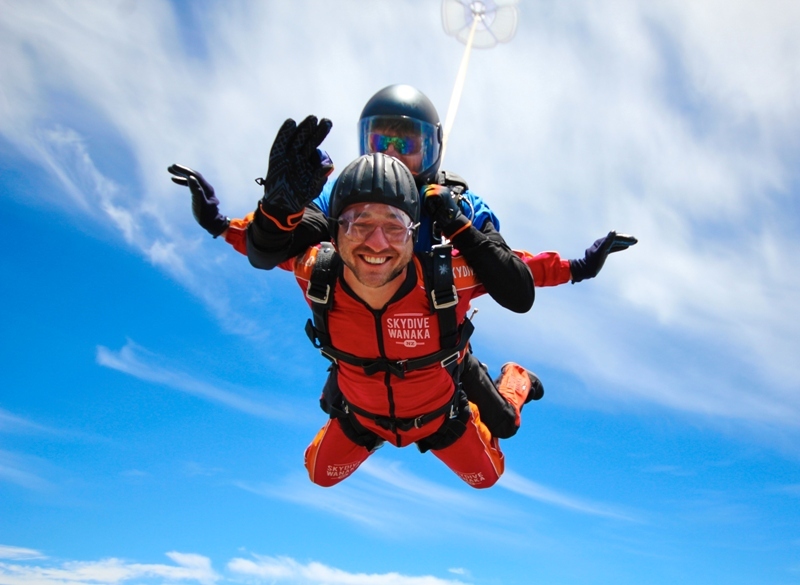 You’ll be tightly strapped to a trusty and experienced skydiving instructor who will ensure you make it back to the ground safe and sound. 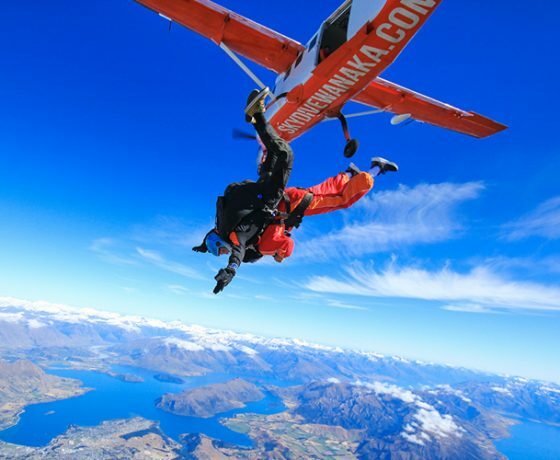 Reaching a height of 12,000ft the time arrives to leap with your highly qualified jumpmaster from this perfectly good aeroplane into pure air and the adrenaline rush of a lifetime, You’ll take in stunning 360º views of the lakes and mountains below as they rush toward you at 200km per hour. 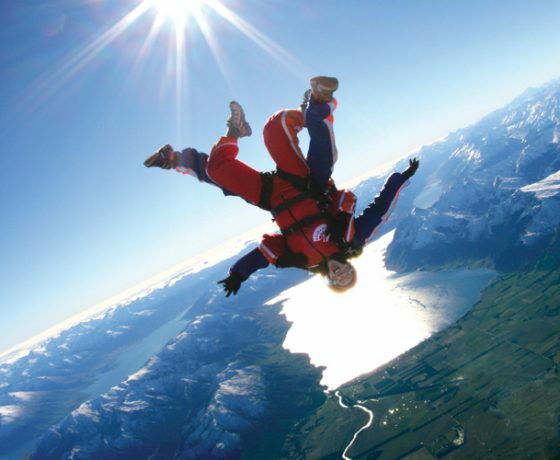 Your heart will pound faster and faster and a floating feeling will leave you barely conscious of the fact that you’re falling as you plummet back to earth. 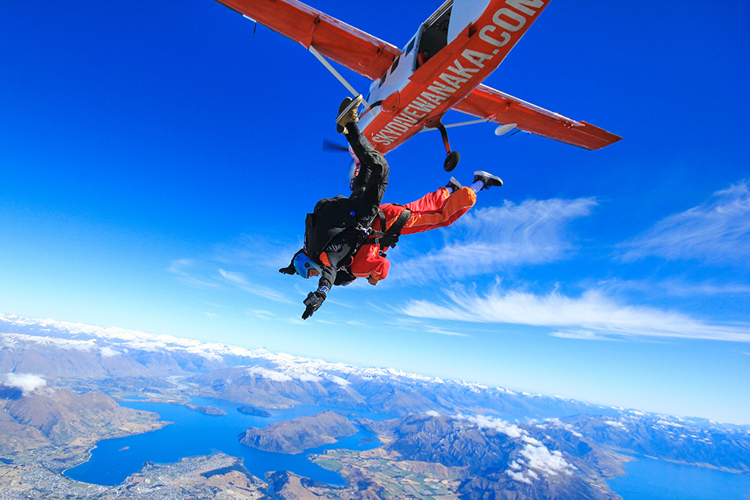 After 45 seconds of freefall the chute opens soaring you smoothly over the beautiful scenery below, landing you safely and gently back at the drop zone. 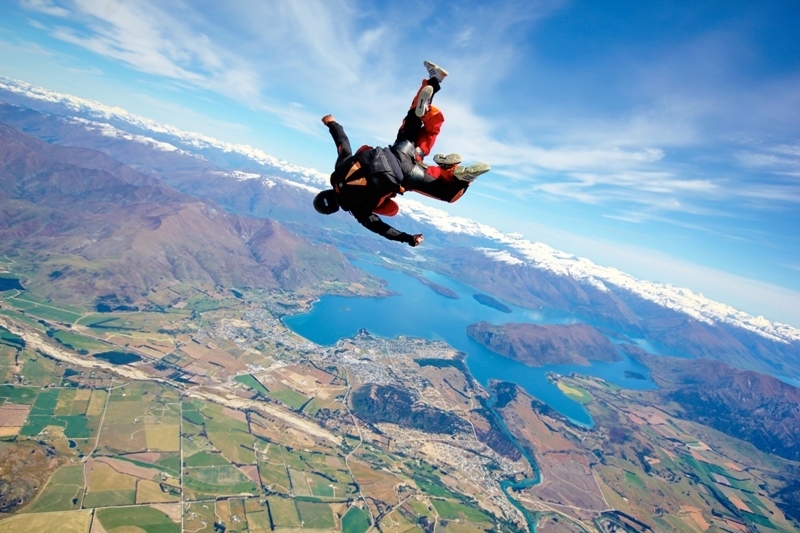 It’s no wonder so many people place skydiving on their ‘must-do’ lists. It really is a spectacular and unique experience that you’d be a fool to pass up. N.B. You will need to allow at least a couple of hours to be with us at the airport. 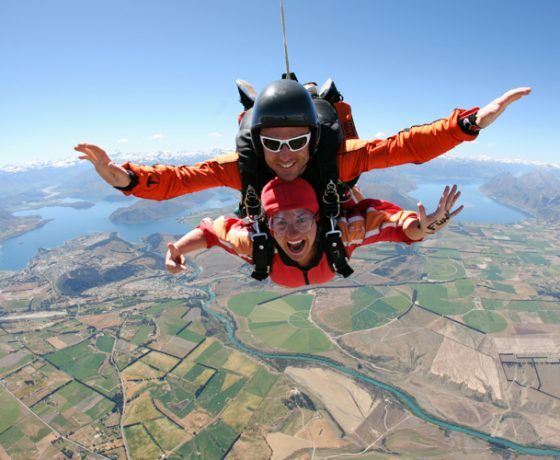 Skydive Wanaka is located at Wanaka Airport, 10 minutes from Wanaka on State Highway 6. (Complimentary local transport available on request). Skydiving Wanaka 15,000ft Ultimate Skydive. 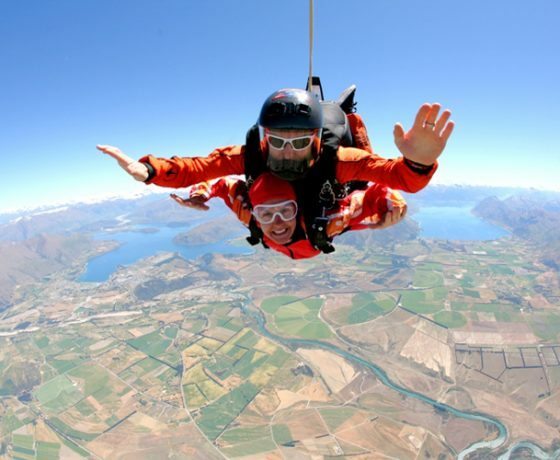 Take to the skies in the skydive plane offering a comfortable, quick flight to your jump altitude of 15,000 ft.
Take a leap into adventure and tick off the bucket list with a 15,000ft skydive experience in beautiful Wanaka. 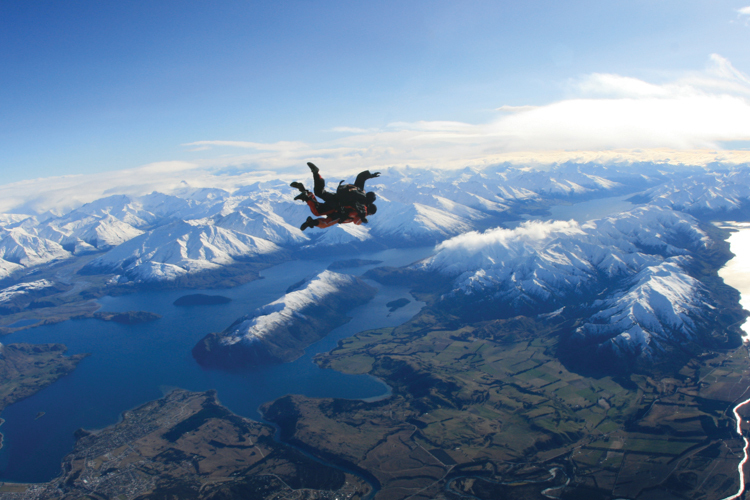 You’ll take in stunning 360º views of the lakes and mountains below as they rush toward you at 200km per hour. 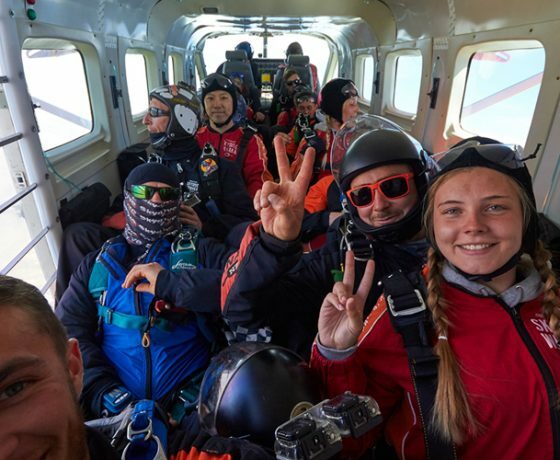 Your heart will pound faster and faster and a floating feeling will leave you barely conscious of the fact that you’re falling as you plummet back to earth. 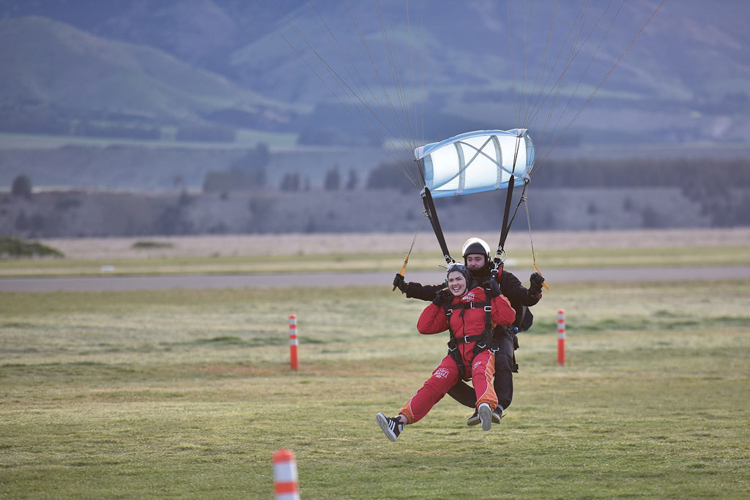 Before launching yourself into the cool New Zealand air. 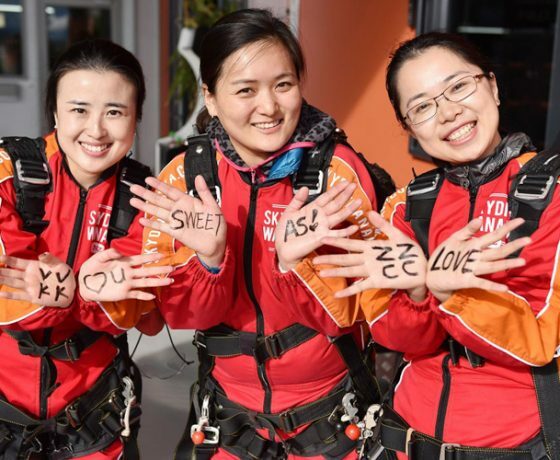 You’ll be tightly strapped to a trusty and experienced skydiving instructor who will ensure you make it back to the ground safe and sound. 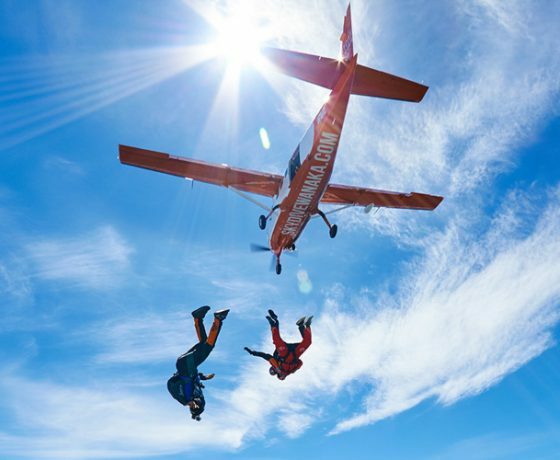 It’s no wonder so many people place skydiving on their ‘must-do’ lists. It really is a spectacular and unique experience that you’d be a fool to pass up. If you require transportation please specify in the “Special Requirements” section in the checkout process. 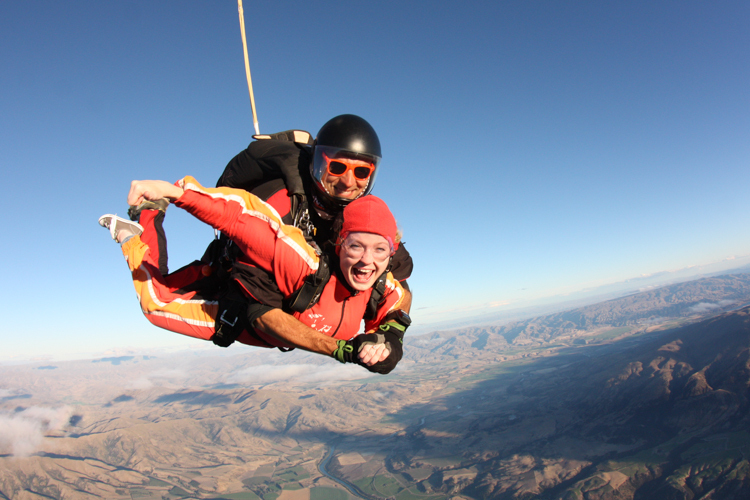 A must do on anyone’s bucket list, and an absolute must do with Skydive Wanaka!